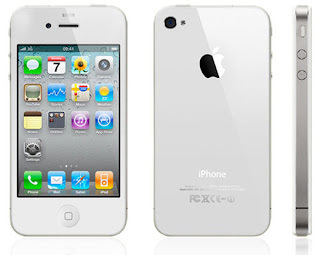 The Mysterious Success of Apple iPhones – Why iPhones are so Popular? An analyst states, 49% of Apple's stock value is made by the iPhone. If asked, its success comes after long and hard thinking of what a user wants, needs and desires; ergo, the buoying sales of iPhones. Blame the everyday leaps and bounds of the technological revolution for presenting trailblazing apps or the street-smart marketers who know the pulse of the market and maneuver suitably, the iPhone has succeeded and whacked the market. iPhone was a long awaited celebrity developed to metamorphose the wireless communication process, hence handling phone numbers or making a call is now an easy cozy operation with multiple options. A remarkable job in its marketing and marketing time that couldn’t be more than perfect with Christmas on its way to ensure a stronger follow-up quarter and produce a great quarter profits. The expanding capabilities of iPhones help developers write more expert apps, not contesting its security. The best part of iPhone was its “user-control” action, status quo where personalization of a phone was possible. A fitting reply to the orthodox boring phones, this phone with its motion detection, threaded SMS view and more, made an iPhone exotic compared to the regular phone ones. Its multipurpose performance is outstanding. For example, it is a phone, calendar, stock-checker, date-book and navigator. Offers web-browsing, has a better camera and resolution than the rest. It successfully replaces your PC utilization giving more convenience and unboxed movement unlike a PC. All these features and yet looking incredibly slick with touch screen and stunning design, it does not take keyboard space like its adversary. From its inception and throughout its life, iPhone has been undergoing development to offer more. The new versions are developed based on its early version launched during 2007. And since its development and launch, many phones have raised their standards to match the goal set by the iPhone. The versions recently developed or being developed holds a promise to satisfy user’s needs according to their style. To know about such an iPhone that defines user’s personality, a phone number to customer care service will serve the purpose.